On the heels of Russell Simmons diagnosing the Flint, Michigan water crisis “environmental racism”–where low-income or minority communities are disproportionately affected by a major environmental disaster, like dumping toxic waste–on The Real Friday, he visited the city today. Going door-to-door to deliver 200,000 water bottles. Plus offering a listening ear to people like Nakeyja. She has three kids and two tested positive for lead poisoning. The 3-year-old suffers from seizures and Nakeyja’s other child doesn’t speak. The story brought tears to Russell’s eyes. Like most of the stories coming out of Flint recently. 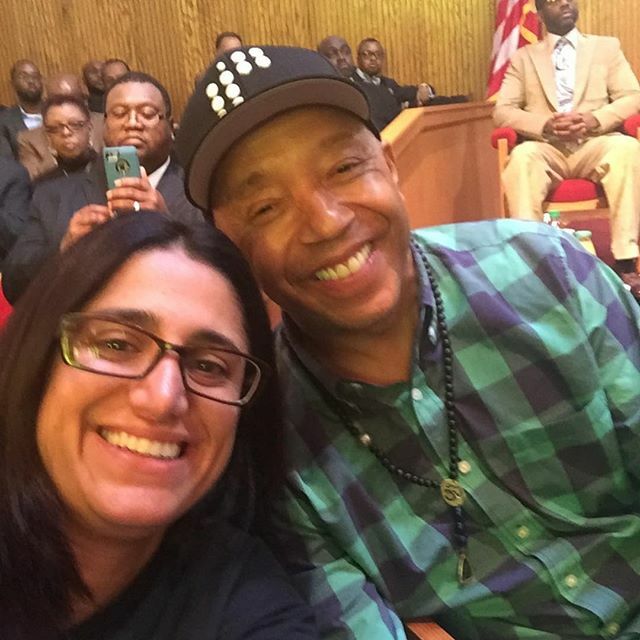 Russell Simmons next stop was a rally where he met the whistleblower of Flint water crisis, Dr. Mona Hanna-Attisha of Hurley Medical Center in Flint. The media mogul followed that up by dropping by Classical Academy to chat up the kids and Principal Tate. RHOA’s Phaedra Parks was also there. No sign of Ayden though….damn. Rounding out his trip was playing waterboy once again to Flint residents. It’s the same role Snoop Dogg had when he visited Flint Saturday for a water drive. Decked out in a ‘Flint Lives Matter’ tee the rapper had a one-on-one with Flint Mayor Karen Weaver. To offer help and to exploit his celeb status for this necessary cause. Snoop made this vow to the crowd. I have a lot of information to take back to my celebrity friends and people around the world who want to help, but mainly we’d like the governor to step up and do what’s necessary to make sure Flint is taken care of. Don’t we all. Don’t we all. Keep your prayers up for Flint.